Full body waxing spa in Windsor Ontario. At Coral Medical Health Spa we offer many different hair removal techniques including Laser and IPL. However, waxing is still considered as one of the most efficient ways to remove hair. 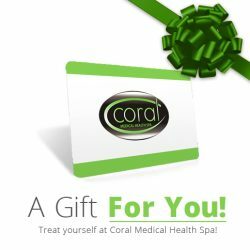 At Coral our team of certified and experienced estheticians will make sure your waxing treatment is quick, easy and as pain free as possible. Ideal for people with makeup sensitivities. Also a great alternative to mascara or brow pencils, and perfect for vacation!